An adrenaline pumping experience of smashing targets flying through the air in a fun and safe environment. Clay target shooting is an exciting and challenging activity that you won't forget. Whether you want to have some fun time with your family, friends or improve your aim, clay target shooting is a sport that everyone can enjoy regardless of your age and physical ability. All participants compete together on equal terms. You will be taking part in the Ultimate Clay Target Shooting Experience. We offer you the real thing, with real guns & real ammunition. Sessions are conducted by Adam Vella, Trap Shooting Olympic Bronze Medalist and three times World # 1 and/or his team of qualified instructors. You can shoot the targets on your own or bring along some company to share. We promise you'll have a blast! The length of this private session is 1 to 1.75 hours depending on your group size. Short on time and want to see the highlights? It is possible to see the highlights of the Great Ocean Road in @8 hours. A private ‘express' Twelve Apostles tour is the best way to maximise your time whilst in Melbourne. You will be back in Melbourne mid afternoon and still be able to explore the city. Travel the Great Ocean Road via the inland direct route straight to the Twelve Apostles and see them with brilliant morning light illuminating the rock formations and offering the best conditions for photographs. Visit another featured highlight of the Great Ocean Road; Loch Ard Gorge and hear all about Australia's most tragic shipwreck. If time permits- Be dwarfed by the towering cliffs down at Gibson's Beach whilst enjoying a stroll along this incredible coastline. A private photo tour in Melbourne. Starting with coffee by the Yarra River to review your photography skills and customise our tour to suit your level and go over technical skills. Explore the hidden secrets of Melbourne's Laneways, or take beautiful photos around the Birrarung Marr, on a spectacular 3 hour day photo tour. Capture the fire display at Crown Casino, or make the sky pop over Federation Square with a 3 hour night tour. Or take an extended 6-hour tour and get the best of both works to make sure you walk away with stunning images. This is a wonderful opportunity for you to experience one of the biggest local markets close to Melbourne! You'll have the chance to select from a wide variety of local fish, meat, poultry, vegetables, nuts, seeds, herbs, dairy produce, sweets and more. After you buy a few ingredients for your cooking class, your host Tonya will drive you back to her apartment where you'll join her for a hands-on cooking experience. You'll learn to make three different dishes from scratch before you sit down to enjoy what you've prepared. Tonya will give you an overview of the menu that you'll be preparing for the day along with some tips and hacks for the preparation and cooking process. A few dishes that you may prepare are oysters and verjus jelly with eschallot dressing, green peppercorn and chive jus, or slow roasted ocean trout with creamy, lemony mayonnaise. At the end of your experience you'll get a folder to take home with all the recipes and tips of the day! Join one of our local insider guides on a private 3.5 hour walking tour around Melbourne's most eclectic and fascinating neighbourhoods, Fitzroy and Collingwood. From incredible street art murals to inspiring urban garden projects, symbolic indigenous locations, hidden cultural gems and amazing social enterprises, The Alternative will show you a side to Melbourne you may never knew existed. Take a private small group tour along the Great Ocean Road with a professional local eco guide and in the comfort of a spacious Mercedes Benz high roof minibus. Join one of Australia's most experienced nature guides and avoid the crowded tour buses on Australia's famous coastal drive. We want you to get the best out of your experience so come with us for a truly enjoyable day! Ride into winter in ultimate comfort & style with the Snow eXpress to Mt Buller! Fully enjoy your winter trip with the ease & convenience of a Private Snow Charter Service! Take advantage of a totally custom flexible schedule and front door service! The state-of-the-art VW MultiVan you'll travel in is immaculately maintained and fully kitted for snow travel. All our driver/guides are experienced and licensed snow drivers who are fun, knowledgable and passionate about providing the best possible experience! In addition to sightseeing stops and High Country vistas, enjoy in-van movies, usb phone chargers and entertaining narration. Your guide is available to help you with any aspect of your day on the mountain, and will also take photos and provide a walking tour of the Mt Buller Village! Your day of indulgence includes transport by private Mercedes, chocolate tasting at MP Chocolates, lunch at award winning Maxs Restaurant at Red Hill Estate. Treat yourself with bathing at the Peninsula Hot Springs, Victoria's only naturally heated thermal hot springs. The Peninsula Hot Springs is the only naturally heated thermal hot springs in Victoria. Natural thermal waters flow into the pools providing idyllic setting for relaxation and rejuvenation. Phillip Island is a nature lovers paradise where visitors can witness the world famous Penguin Parade. See the 30,000-strong penguin colony and watch as they waddle onto the shore after an industrious day of deep-sea fishing. This is one of the most adorable encounters you will ever experience, bringing joy the hearts of young and old alike. A luxury private tour offers ultimate comfort and flexibility to make your tour truly memorable. An after dark discovery of the city's creative restaurant and bar scene. Melbourne is a city teeming with creativity and its bars and restaurants are no exception with the most exciting venues often behind obscure doors, up unmarked staircases, and down darkened alleys. What better way to discover Australia's Capital of Cool than heading out on the town with a local? Year after year, Melbourne is crowned the world's most liveable city and it's easy to figure out why. A vibrant hub of culture, cool cafes, and striking architecture, Victoria's capital packs so much into its thriving laneways, historical haunts, and the sweeping curve of Port Phillip Bay. 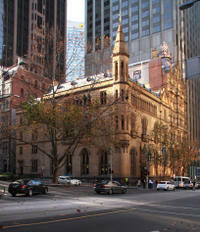 Uncover the treasures of Melbourne on a 5 or 6 hour tour with an experienced guide in a luxurious vehicle. The tour is private so you have the ability to fully tailor the day to suit your interests. Explore the best of the Great Ocean Road by land in a luxurious Mercedes Benz or Audi vehicle followed by private helicopter return to Melbourne on this private tour starting with pickup from your hotel. Your guide is also the driver and will be taking you to great locations like Bells Beach and Great Otway National park. A gourmet lunch is included in the price of this tour. Travel to Phillip Island by helicopter departing from the edge of the Yarra River in the very heart of Melbourne. En route enjoy spectacular views of the city hugging Port Phillip Bay and the Mornington Peninsula. On the ground you will be greeted by your private guide who will show you the island's highlights in a luxurious Mercedes Benz or Audi vehicle. Visit Cape Woolamai surf beach, the inhabitants at the Koala Conservation Centre, and view the awe-inspiring Southern Ocean from the boardwalks at The Nobbies. Guests will then enjoy a gourmet dinner at a popular waterfront restaurant in the coastal hamlet of Cowes prior to the nightly natural phenomenon that is the Penguin Parade – a signature wildlife experience of any visitor to Australian shores. From vineyards clinging to undulating hills to the river snaking through it, the Yarra Valley is one of Victoria's most breathtaking regions – an emerald in her crown. It's also one of the Australia's finest food and wine destinations. Nowhere is this more evident than at the exquisite winery restaurant, Ezard at Levantine Hill where the food is only matched by the stunning architectural statement of its cellar door. Your tour encompasses a multi-course lunch with estate wine following an exclusive structured tasting of Levantine Hill wines. There is time to seriously test the region's food and wine credentials with visits to boutique vineyards and providores for wine and produce tasting. In consultation with your private guide, allow us to showcase the best on offer. And to finish a perfect day of indulgence, board your private helicopter for a 25-minute scenic flight back to Melbourne landing in the very heart of the city at the Yarra River helipad. This Yarra Valley Wildlife Express tour allows guests to get up close and see Australian wildlife in their natural habitat at Healesville Sanctuary. The Sanctuary is set on 30 hectares (70 acres) of bushland that offers a distinctly Australian setting for visitors to experience unique close-up encounters with some of Australia's unique and endearing wildlife, including: : Koalas, Kangaroos, Wombats, Emus, dingoes, Birds of prey, and, Platypus. , . If time permits, guests will also have the opportunity to enjoy the best food and wine the Yarra Valley has to offer. Welcome to Melbourne, a city of contrasts, world famous sporting arenas and historic gardens. On your own private Melbourne city tour, make the most of your time and chat to your guide about the places that you really want to see. With this customised tour we can accommodate your personal interests, whether it be history, architecture, people, sports, shops, or cafes. Tell your guide before the start of the tour what you want to see, or if you prefer, just sit back and relax while your expert guide shows you the best Melbourne has to offer. While your ship's in port in Melbourne visit the highlights of the city on a private 4-hour tour with an expert guide. Your guide will accompany you to Melbourne's shopping districts, historic neighborhoods, financial center and Victorian-era terraced homes, and share details from Melbourne's vibrant history. As this tour is private, you can choose to spend more time at shops or cafes if you like, and stop in the places that most intrigue you. Discover Melbourne and Great Ocean Road with this exclusive private tour. Get to know your guide and share your personal interests. Learn the stories behind the facades, drive the iconic Great Ocean Road, enjoy an exclusive visit to see wildlife in their natural habitat. Discover Phillip Island and Great Ocean Road with this exclusive private tour. Get to know your guide and share your personal interests. Drive the iconic Great Ocean Road, enjoy an exclusive visit to see wildlife in their natural habitat and meet the cute little penguins. Discover Melbourne, Phillip Island and Great Ocean Road with this exclusive private tour. Get to know your guide and share your personal interests. Learn the stories behind the facades, drive the iconic Great Ocean Road, enjoy an exclusive visit to see wildlife in their natural habitat and meet the cute little penguins. The Great Ocean Road is an amazing experience at any time of the year. One of the most beautiful coastal roads in the world, the Great Ocean Road stretches 243 km along the southern coast of Victoria. We do our Great Ocean Road EXPERIENCE a little bit differently to the usual “sightseeing” tour, we take in the usual “tourist” sights and drive the best parts of the Great Ocean Road. We then take a slight detour and head off the beaten track into the Otway National Park to experience the old growth forest, before rejoining the Great Ocean Road to drive the most scenic parts of the road stopping along the way to get the “perfect pictures”. All our tours are a private experience for up to 10 guests, lunch is included with drinking water provided throughout the day. Global trends like the Flat White coffee and smashed avacado on toast have come out of the cafes and eateries of Melbourne. And now, Melburnians are embracing the newest hip trend, an American food renaissance. Join our foodie guides and experience the rich cultural heritage taking hold in our city. Learn about American and Aussie barbecues' shared heritage, and discover the neighbourhood at the forefront of this culinary trend – the very cool Fitzroy. And whatever you do, bring your appetite. Yee-haw! The markets of Melbourne are buzzing, colourful reflections of the city's soul. Half of Aussies are first or second-generation immigrants, and this diverse cultural tapestry is on full display in its neighbourhood markets. Go behind the scenes on this private tour and taste the food, meet the vendors and discover the local culture. Take a private shopping tour with a twist through the charismatic, multicultural and hipster suburb  bursting with independent cafés, street art and colourful characters, with plenty of history around every corner. Browse the eclectic shops filled with vintage treasures and products designed and made by Melbourne craftspeople. Visit artists' studios, meet the artists, and see how they create their wares behind the scenes. Melbourne has so much to offer, it can't be fully experienced in just three hours  but that won't stop us from trying! Start your private tour at Melbourne's highest viewpoint and weave your way through its streets. Sip a famous Melbourne flat white, discover the street art scene, sample multicultural food, and finish things off with an iconic tram ride to Melbourne's most famous market. From what makes it famous to why the locals love it, we'll show you the best of Melbourne! Through gold rushes and rebellions, Olympics and royal visits, Melburnians have turned to ales, whiskeys, wines, and cocktails for comfort. Experience Melbourne's unique bar scene on a private tour with a local guide and visit its unique watering holes. By the end of this private tour, you'll discover that history really is better with booze (as if there was ever any doubt)! Learn why Melbourne is known as the fashion capital of Australia with this private tour of inner-city boutiques featuring premium Australian designers. Your private group of one to six guests, accompanied by your experienced personal stylist will explore both iconic Australian brands as well as smaller independent labels, up-and-coming designers and cutting edge fashion. A pre-tour styling consultation means your day will be tailored to your specific tastes and interests with champagne and hand-made delicacies and an individual styling session with your professionally trained personal stylist. Choose from a 4 hour express shopping trip or a more leisurely 6 hour tour with a restaurant lunch. 5 Stars on Trip Advisor! 4 Hour Tour Tour includes: : Local Melbourne Tour Guide, Private Mercedes Benz 7 Passenger Vehicle, Complimentary ‘THANK YOU' bottled water, Custom and private tour for up to 7 passenger, . 4 Hour Tour Tour includes: : Local Melbourne Tour Guide, Private Mercedes Benz 7 Passenger Vehicle, Complimentary ‘THANK YOU' bottled water, Custom and private tour for up to 7 passenger, . 5 star trip advisor rating. 12 Hour Tour to the Great Ocean Rd. Tour includes: : Local Melbourne Tour Guide, Private Mercedes Benz 7 Passenger Vehicle for your group. , Complimentary ‘THANK YOU' bottled water, Custom and private tour for up to 7 passenger, . Make travel memories extraordinary! Forget selfie sticks, asking other tourists to take your picture and terrible selfies! Your local supplier connects travelers with local, professional photographers in over 100 destinations around the world to capture those once in a lifetime memories. During this two hour experience, you will be guided by your local Melbourne photographer to a number of locations capturing natural, modern images whilst pointing out things about the city that only a local would know. Within 48 hours of the shoot, you will receive a selection of sample images and then the full high resolution, digital album within seven (7) days. When the holiday is over, this experience is the ultimate souvenir, professional and extraordinary photos taken by a local photographer who knows exactly where to get the best shots. : Enjoy a truly stress-free arrival in Melbourne with the luxury of a safe and reliable transfer, See the sights of Melbourne as you drive into the city, Avoid the taxi line and avoid cash transactions, . While in Melbourne take a private and customized tour to any of the surrounding wine regions.These include the Yarra Valley, Mornington Peninsula, Bellarine Peninsula, Heathcote, and Macedon. As this is a private tour operated with just your party and a guide/driver the itinerary is customized your needs. You will be picked up and travel in a luxury Mercedes car – no buses. Just an hour's drive from the city is the lush landscape of the magnificent Dandenong Ranges, part of the Great Dividing mountain range which runs the entire length of the east coast of Australia. Wrap up warm and enjoy a mountain of fun with snowy experience at Lake Mountain, Melbourne's closest Alpine Resort. Appreciate a trip in a private car up the mountain, and a complementary 2 course lunch. Located just two hours from Melbourne the picturesque snowy Lake Mountain Resort is perfect for a fun family day out or for first timers to the snow. Stop at Yarra Valley Chocolaterie for hot chocolate on your way down! A snow trip can sometimes be a bit daunting, so MPT has put together a fantastic Mount Buller Snow Tour that will make it easier for you to enjoy your holiday in the snow. This private tour is for 1-10 travelers. A trip to Phillip Island is a must for nature lovers and those seeking a unique Australian experience. The island is home to a collection of Australian native wildlife including the famous little penguins, fur seals and koalas. This insightful tour lets you get up close and personal with these animals and shows off the rugged coastline, where the rocky shoreline meets sandy beaches, often lined with keen surfers. The Mornington Peninsula has been captivating visitors for more than 100 years. Attracted by the gentle hills, kilometres of sparkling bay beaches, rugged surf beaches and stunning coastal scenery, people flock to the peninsula to enjoy all it has to offer, not least the food and wine. Traveling along Victoria's Great Ocean Road is an amazing experience at any time of the year. One of the most beautiful coastal roads in the world, the Great Ocean Road stretches 243 km along the southern coast of Victoria.Travel it and you will discover some of the world's most inspiring scenery, an ever-changing hinterland and charming towns and hamlets. Marvel at the huge cliffs, roaring seas, tranquil coves, magnificent waterfalls and secluded beaches. With its Victorian architecture, stunning gardens and edgy bar, culinary, fashion and live music scenes, Melbourne is an obvious start to any visit to Victoria. Its iconic laneways and alleys are home to some of the city's best cafes, bars, boutiques and galleries. Explore these with your local guide, getting a real insight into what makes this cosmopolitan city tick. As one of Australia's leading wine making regions, just a short drive (approximately one hour) from Melbourne, the Yarra Valley is an ideal destination for a day trip. With a picturesque backdrop of the Yarra Ranges as well as renowned restaurants throughout the area, wine and food lovers alike will revel in everything the Yarra Valley has to offer. Is there a more seductive city than Melbourne After Dark? Join us as the sun goes down and the lights come on. Melbourne is breathtaking under lights. See the city come alive at night. Enjoy a scenic drive from Melbourne to the Victorian spa country to embark on a day of galleries, fresh produce, lush farmland and stone farmhouse buildings. Step back in time and immerse yourself in the excitement of Ballarat's gold rush days at Sovereign Hill on this 8-hour private tour. Follow your guide through the former gold mining site, which now is an award winning outdoor museum that recreates in fascinating detail the hustle and bustle of life in the 1850s. Have a stress free day as hotel pick up and lunch are included. No more selfies or pestering strangers for photos of yourself and loved ones, enjoy the services of a professional vacation photographer in Melbourne to capture your travels in a contemporary and candid style. Specialising in delivering quality photography with photographers all over the world, we guarantee you amazing photos to remember your travels. All images shown were taken by our photographers. Photograph Melbourne's hidden and iconic hot spots while you learn to use your digital camera. You'll receive personalized attention with a professional photographer as your mentor and guide. Aimed at beginners, this private 2-hour walking tour offers hands-on experience so you can improve your photography skills while exploring the city. 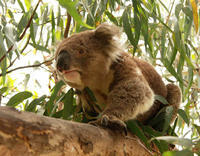 Visit Phillip Island to see Victoria's iconic penguins and koalas on a private tour from Melbourne. Visit the Moonlit Sanctuary Conservation Park and see koalas in their natural surroundings and meet a host of Australian native animals such as kangaroos, wallabies, dingoes and colorful reptiles and birds. Discover Phillip island witness the penguins return from their day at sea at the famous Penguin Parade. Depending on the time of year, you can tailor your tour and include free time exploring Phillip Island at your own pace.